When first getting started on a new healthier lifestyle, it’s easy to get swept up in the sea of fitness gadgets and equipment. I have tried a lot of things along the way, and these are my top picks for helping me get and stay fit, in no particular order. In the pursuit of health and fitness, I’m all about convenience. 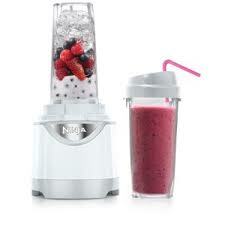 Blenders allow me to make really quick meals on the go. When I need some quick nourishment I can blend fresh fruit, some kale or spinach, Greek yogurt, and a nutritious liquid like almond milk or coconut water, and end up with a filling and healthy snack. Not to mention, this does wonders for me after workouts when I can barely lift my arms because they’re just way too wobbly. Blenders are also great for mixing treats like banana ice cream, adding fresh fruit to Greek yogurt for naturally flavored yogurt, and smoothly mixing the wet ingredients for pancakes, such as in this banana oat pancake recipe. The possibilities are endless! Weight loss, gain, and maintenance all comes down to calories burned vs. calories consumed. If I have a certain goal I’m trying to reach, it’s helpful to know those numbers, and a heart rate monitor comes in handy. A heart rate monitor tells me how many calories I’ve burned during a workout, which percentage of those calories are fat, and gives information about how hard my heart worked during the workout. Certain cardio machines give a decent estimate of your calorie burn, but these are based on generic calculations (unless there’s a HRM built into the machine – which may require you to hold onto the machine the whole time, and that’s not all that fun). I don’t do that much cardio anyway, and what I do is usually not on a machine. Without machines, I saw some pretty decent estimates for calorie burn during workouts. The estimates are also very generic, don’t account for calorie burn differences due to body composition, and there’s no way of telling if you were going “beast mode” or just posting pictures to Instagram the whole time. At times I was losing weight much faster than I expected, and once I got an HRM I realized that this was in part because my workouts were much more intense than the websites and machines were estimating. Of course the HRM is not going to be 100% accurate, but it gives a very good idea of how hard I’m working by directly measuring my heart rate. I have a love/hate relationship with measuring my food. It was very helpful when I was trying to lose weight, and it is helpful during times that I am trying to reach a certain goal with my physique. I would caution people against being overly consumed with exact numbers, and encourage you to allow yourself the freedom of not being on the nose with every single measurement. With that said, measuring food is a way to ensure that you are not overestimating or underestimating your food intake. If you are into counting calories or macronutrients (carbs, protein, and fat) then scales and/or measuring cups will ensure you don’t underestimate or overestimate. Over time, I have needed my food scale less and less, and tend to eyeball how much food I’m eating. It does still come in handy for recipes. There is an app for almost everything. 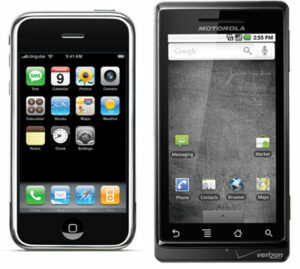 Within one phone, I have replaced my mp3 player, interval timer, camera, and pen/paper. I can use my phone to record workouts, hop onto social networks that help keep me motivated, and easily look up workout ideas. I love the interval apps and timers for when I’m doing High Intensity Interval Training (HIIT). Prior to having an interval app on my phone, I had to manually watch a wristwatch, which could be distracting. Being able to blast music on my phone really helps me stay in the zone when I’m working out, and usually keeps away the distracting people who want to talk while I’m in the middle of a set (rolls eyes). Relatively inexpensive, jump ropes can be used almost anywhere, at any time. All I need to jump is a enough room for the periphery of the rope while jumping. To not bother my neighbors downstairs, I usually go outside for a quick 15 minute jump rope session. 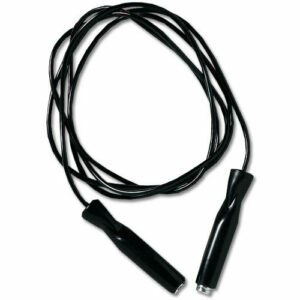 Jumping rope is a great cardiovascular workout, that also helps to strengthen the whole body. It’s also great for calorie burn – I have seen that I can burn as much as 11 calories per minute just jumping rope. I wanted a pull-up bar so badly that I asked for it for Christmas. I’m a big fan of calisthenics, or body weight lifting. Although I love lifting weights in the gym, sometimes I just can’t make it out of my apartment, or just don’t feel like it. 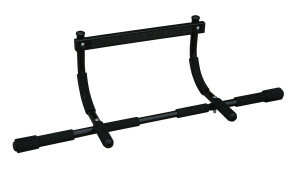 I could use almost any household item for squats and deadlifts, I could do push-ups to work on my pressing strength, but developing pulling strength really was made simple by getting a pull-up bar. On the bar I can do not just pull-ups and chin-ups, but also can get some core workouts in with hanging leg lifts. Ever since I have found online coupon websites such as Groupon.com and LivingSocial.com, a whole new world has opened for me. I’m all about deals, and these websites often offer over 50% off for all kinds of things. I have used these websites to get fitness classes such as a boot camp and a pole dancing class. Sometimes I find coupons for local healthy restaurants (great for when I’m traveling). What’s more, when I want to treat myself for sticking to my fitness plan, I like to find coupons for an awesome massage, facial, or mani/pedi. Signing up to these websites is free, so I don’t have anything to lose! Those are just a few of my favorite things. What are some of yours?